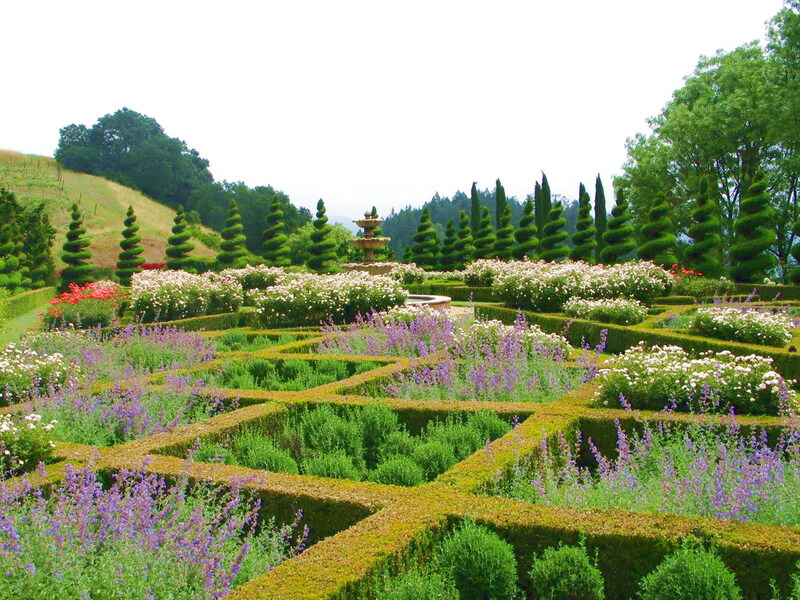 A parterre garden with criss-crossed hedges, ornamentals and corkscrew juniper topiaries planted over the underground wine cellar at Newton Vineyard, on the eastern edge of the Mayacamas Mountains overlooking the city of St. Helena. in Napa Valley, California. Photo courtesy of David Milliken. This entry was posted in Garden and tagged English garden, formal garden, garden, hedges, lavendar, Newtown Vineyard, parterre, topiary, winery. Bookmark the permalink.